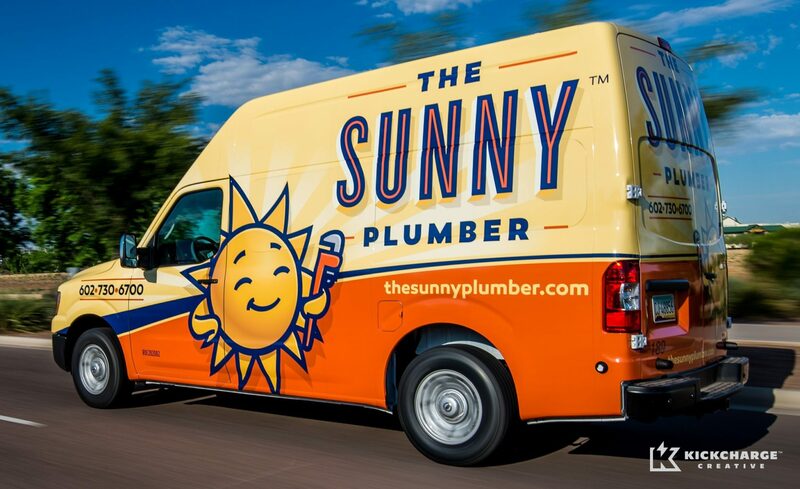 The Sunny Plumber Logo & Vehicle Wrap Designs for This Arizona-based Plumbing Company September Truck of the Month in Plumbing & Mechanical Magazine. Second place winner for Out of Home: Miscellaneous in the 2014 NJ Ad Club Jersey Awards. September Truck of the Month in Plumbing & Mechanical Magazine. Second place winner for Out of Home: Miscellaneous in the 2014 NJ Ad Club Jersey Awards. Here's one of our best award-winning plumbing truck wraps that give a warm, friendly brand promise to consumers. Note how the truck wrap is easy to read, the branding is easily digested and understood, and the brand itself is positive and personal.